This may not sound like a concerning issue. It’s just advertising, right? Well, it turns out that attorney advertising can actually have negative ramifications for public health. How? If a patient taking, for example, an anti-diabetes medication and sees an attorney on television “warning” patients about alleged side effects from that medication and the patient suddenly stops taking it, the patient’s life may be put at risk. The Hill published an article describing how a 45-year-old man suffering from deep vein thrombosis was watching television when he saw a commercial from a lawyer advertising about mass tort lawsuits over the blood thinning medication Xarelto. He was prescribed Xarelto by his doctor to help address the deep vein thrombosis. The patient was so alarmed by the claims made in the television ad that he simply stopped taking the Xarelto. As a result, he died from a pulmonary embolism. The Subcommittee on the Constitution and Civil Justice of the House Judiciary Committee held hearings about the adverse consequences of rampant advertising by plaintiff’s lawyers. Two doctors testified and shared stories about patients who died after seeing an advertisement about a medication they were taking and becoming scared about the potential side effects of the medication. The American Medical Association (AMA) has become so concerned that it adopted a new policy advocating for a requirement that attorney advertising be accompanied by “appropriate” and “conspicuous” warnings, according to Legal News Line. The AMA is the largest association of physicians and one of the most respected organizations in the country. 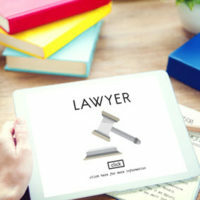 The AMA, in announcing this policy initiative, asserted that television advertisements are running rampant with plaintiff’s attorneys harping about side effects and cajoling people into calling them to see if they can sue the drug or device manufacturer. The ads highlight the potential side effects while ignoring the numerous benefits of the drug, or the fact that the medication or device was tested and approved by the U.S. Food and Drug Administration. The Brownsville defective medical device claims attorneys at Colvin, Chaney, Saenz & Rodriguez, L.L.P. are ready and able to put their trial skills and experience to work for your company. Contact our office to schedule a confidential meeting to discuss your legal options.